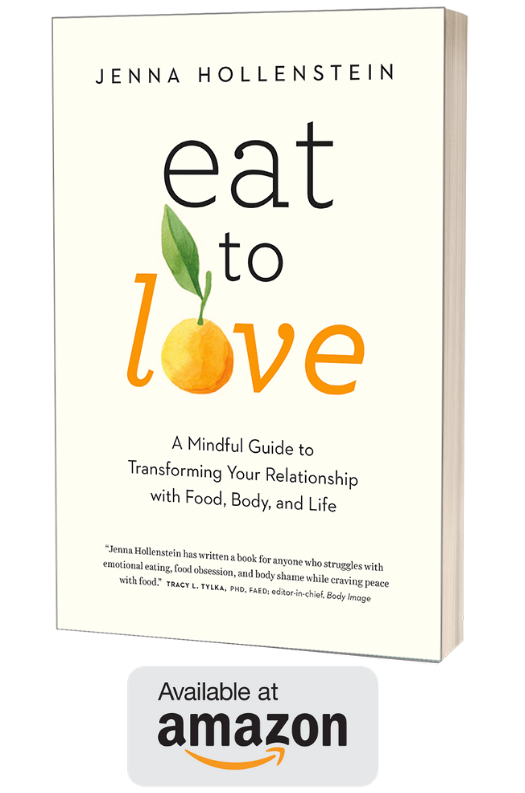 Three years ago I launched Eat to Love. Much like my own understanding of meditation, mindfulness, and Intuitive Eating, my understanding of working with clients has deepened in surprising ways. It is with the “new beginning” of this site that I share three little insights into that deeper understanding: of myself as a person/nutritionist/business owner, as someone on my own path with eating and body image (and why that matters), and the definition of real progress. I started with two clients. Then there were ten. Then four. Then suddenly 30. You get the idea. Though the number of clients is just one measure of progress in a business, I consider this a great reminder of how non-linear it is. 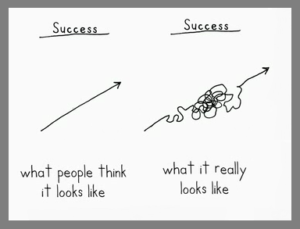 During this messy process, a lot of unexpected things happened. 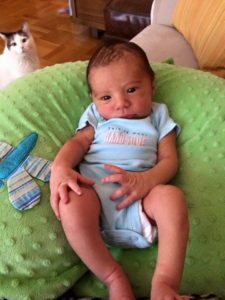 I got pregnant, we had a baby, and experienced a lot of personal ups and downs, most recently losing our beloved Rufus and needing spinal surgery. Had my progress been “cleaner” and more predictable I would have missed some of the richness and depth of experience that has actually made me a more patient and compassionate nutritionist. What’s more, “progress” was happening during some of the most painful moments – when I was least aware of it. That’s taught me to appreciate (or at least be patient with) the downs as well as the ups and know that growth and change cannot be controlled. New clients often ask me how long it takes to “get” intuitive and mindful eating, a question that is impossible to answer. Some work with me for 2 months, others for 2 years. Some go away and come back to continue our work. Many check back in to share the breakthroughs they continue to experience in self-compassion, body acceptance, and shifting their allegiance from external cues on what, when, and how much to eat to internal ones. Each person progresses at her own pace. And that’s exactly as it should be. Bottom line: You can’t predict progress and what actually happens is so much better than what you would have imagined. When I started my practice, I had just self-published Drinking to Distraction, my memoir of quitting drinking before hitting bottom. To say that I felt vulnerable releasing this story is an understatement: not only was I sharing cringe-worthy personal details I’d never spoken out loud, I was making my writing available for criticism. But once it was out there, I felt relieved: shame no longer held me back. What’s more, I started to receive emails, reviews, and other messages from people who felt someone had finally given voice to their story and now felt empowered to challenge their own demons. I don’t think it’s news that many people study nutrition and become dietitians in part because of their own struggles with eating and body image. I certainly identify with this. Yet, when I started Eat to Love, other dietitians (much like many therapists who don’t “self disclose”) did not acknowledge those struggles and I followed suit. More recently, some nutritionists – wonderful people like Marsha Hudnall and Christy Harrison, who really get it! – have been sharing their own stories. As I begin to share my own struggles and how they influence where I am now with my clients, I communicate loud and clear “I understand because this is something I’ve also struggled with and I am on my own path. We can figure this out together.” This changes the conversation and genuinely helps people. Expect more from me on this front. Similarly, when clients start excavating long-hidden thoughts and feelings about food, eating, and body, something starts to shift. Things become a little less scary and claustrophobic and a little more spacious and ventilated. A heavy burden lifts and things start to feel workable. Bottom line: What you think is most unacceptable about you, if shared skillfully, could empower you (and others) in surprising ways. 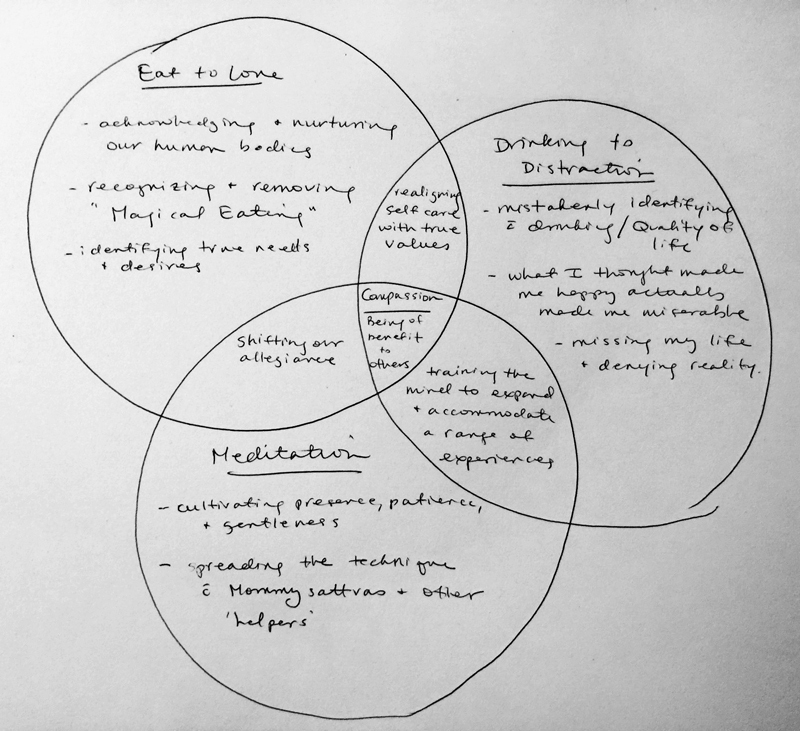 Integration – how the different parts of our lives fit together – has been a central theme since I quit drinking, started to meditate, and recognized the ways in which I personally was using different distractions to modify my reality. Yet I’ve felt confused as to how my Drinking to Distraction stuff fits with my Eat to Love stuff and my meditation stuff, at least as far as the outside world is concerned. As the result of this trust, I now do things I LOVE, like helping individuals and groups learn to love and trust their bodies; leading an online meditation group for moms; teaching coaches, therapists, and other nutritionists how to teach their clients to meditate; and writing a new book about how Buddhist principles can guide the care and feeding of ourselves (coming soon!). Similarly, my clients often struggle to understand how recognizing and responding to hunger and eating regularly throughout the day will help them stop binging, stop obsessing over food, and build a friendlier relationship with their bodies. They see themselves at Point A and think that Point B, where they need to go, is waaaaaaaaaay over there. Our work is to bring them back to the present moment – to pause, acknowledge what is going on in the moment, and begin again by taking the next right step – over and over and over again. With patience and perspective, they realize that things have a way of coming together exactly as they need to. Bottom line: You are wiser than you think. Take heed. Be kind and patient with yourself.